A number of things came together in short order recently. They’re not really thematically linked, but they’re all important. So, let’s dive into them quickly. Over the weekend we received our proof copy of the Accursed GM’s screen inserts. We ordered it along with the customizable screen, and we’re very happy with the combination. All 8 of the panels reproduced our colors very effectively, and we love the way it turned out. The PDF of the screen panels is now available for $3. Printed cards (US Letter size) are available to order for $7. Those who particularly like the screen we used can also combine the printed cards with the screen for $31.95. We’ve had a printed map of Morden available on our Zazzle site for a while. However, it’s a little more expensive than we’d like it to be, and that site’s a little off the beaten path. Recently, DriveThruRPG enabled the ability to print posters. Conveniently, those are about the same size as our map. We’ve just received the proofs of the map and we’ve now turned that on for ordering. It’s now available in print for $6. It’s shipped flat, folded in half. Melior Via will be publishing a new setting later this year. The Thin Blue Line: A Detroit Police Story is Jason Marker’s creation. In it, he shows his love for the city by exploring some of its darkest legends. 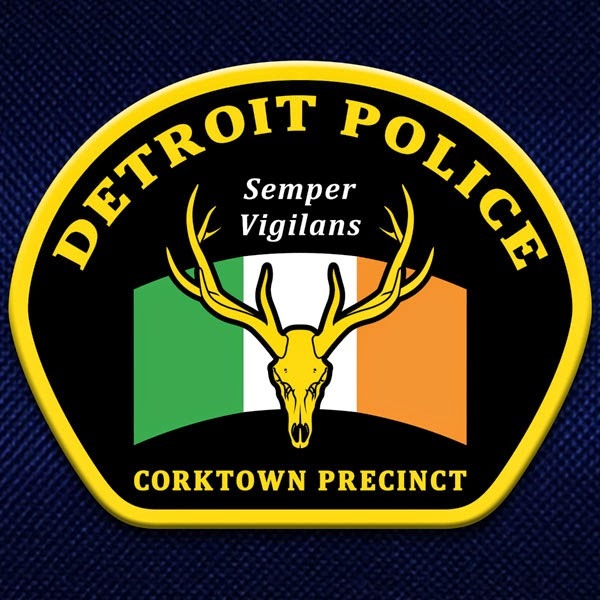 Players take on the roles of the officers of the city’s Corktown Precinct. These officers have either demonstrated paranormal abilities or had a close brush with the supernatural. The damaged, over-worked, and under-paid officers must keep paranormal activity in Detroit under wraps and out of sight. Jason’s posting updates to the new blog a couple of times each week as we continue development work on the project. The Thin Blue Line will be a modern horror setting, requiring the Savage Worlds rulebook and the Horror Companion for use. Melior Via is hosting several events at Gen Con this year and John’s participating in a couple of others. If you’re assembling your schedule in preparation for event registration (coming 5/17/15) please keep these events in mind! The Order of the Penitent has asked your team to investigate rumors coming from Hyphrates. Banes once loyal to the Djinn have been searching the desert, reportedly trying to uncover a legendary site. A pyramid may exist which connects Morden with the Summerlands of the Seelie Fey. Could this be a way to bring the Seelie back to the world? Worse yet, could the banes use it as a gateway to bring back the Djinn? Game with one of the setting’s creators! Join experienced gaming professionals as they present a guide for anyone looking to enter the gaming industry, from highs to lows & everything in between. Two guards murdered and the ancient Egyptian exhibit vandalized at the Detroit Institute of Art. The Corktown Precinct investigates the unexplained. Preview an upcoming setting! 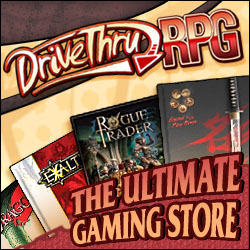 Learn what's in the works for Savage Worlds licensee companies! Focusing on the business of producing and selling your own product; learn about resources to make that part easier. This seminar is interactive. Audience questions and comments welcome. Topics may include information about trade groups, administrative structure, pros and cons of distribution, crowdfunding (e.g. Kickstarter, IndieGoGo, Patreon), marketing and advertising, the usefulness of contracts, and other topics the audience wants to discuss.